This data is provided by the DVSA, the Government agency responsible for MoTs, via the Government's OpenData scheme. What years does it cover? It is for MoTs conducted from 2005 to 2016, the most up-to-date information that we have from the Government. Why doesn't it include MoT data from 2017? The data has not yet been released for vans that had an MoT in 2017. As soon as it is, we will update the data. Why isn't my van listed? It's either too new, too old or there wern't at least 50 tests for that model conducted. We set a threshold of 50 tests to ensure that the results were as useful as possible. Did the data contain many mistakes? Yes. With 400 million MoT records and 47GB of data, there always will be. There were lots of vans registered in the 1800s. 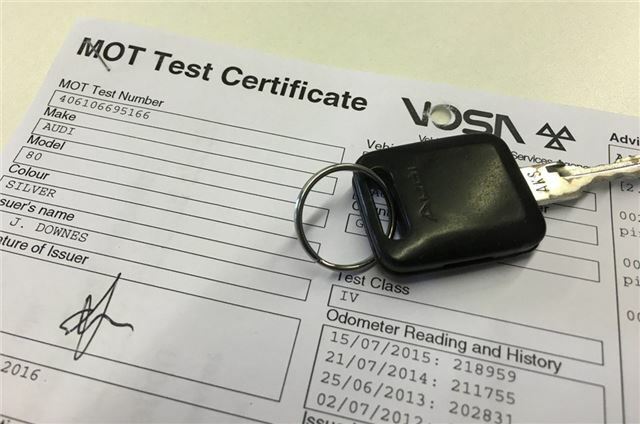 Make sure you check what's on your MoT certificate before you leave the testing station. Does this tell me how reliable my van is? This data will tell you what your van is likely to fail its MoT on. Some of these are common problems, but it shouldn't be used as a guide to overall reliability. It will only highlight items that are tested in an MoT. Are these all manufacturer faults? Some are manufacturer faults, others are down to the owner and some are a combination of both. Items like obstructing the driver's view are usually solely down to the owner. Do these statistics include tests from Northern Ireland? No, the DVSA covers England, Scotland and Wales, but not Northern Ireland.